FLIR Systems has announced that DJI, the world’s leader in civilian drones and aerial imaging, will integrate a FLIR thermal imaging sensor technology into its new DJI Zenmuse XT2 drone camera. 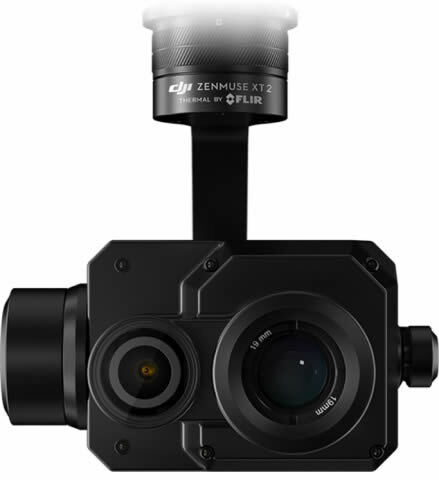 The DJI Zenmuse XT2, DJI’s first dual-sensor and its most advanced gimbal-stabilized camera for commercial drone applications, furthers the collaboration between FLIR® and DJI. The Zenmuse XT2 also joins the ‘Thermal by FLIR’ partner program, which FLIR created to fuel thermal innovation and allow partners to leverage the leadership, quality, and innovation that FLIR’s brand represents in the thermal imaging space.